VANCO Authorization Form 8-2018 Giving online is easy and allows you to set up automatic recurring contributions and view your complete online giving history from anywhere you have access to the Internet. You can also text your offerings! In less time than it takes to write a check, you can now make your contribution to Unitarian Universalist Church of Cheyenne with a quick text message. To get started, locate the “Give Now” link above and create a profile if you haven’t already—be sure to opt in to send text donations. You will receive a confirmation text and email with instructions on how to text donations. As Unitarian Universalist Church of Cheyenne prepares its budget each year, it is important to know what support we can depend on from our congregation members. By knowing what you are willing to commit financially, we are able to better plan for the future. Please consider setting up a recurring giving plan. Automating your financial commitments means your contributions will be received on a steady, uninterrupted basis. 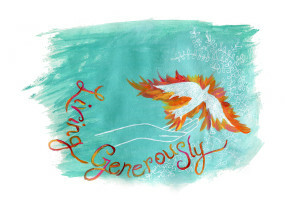 To set up a recurring giving schedule, locate the “Give Now” link above and set up your recurring giving schedule. The first time you give, you will select a password that will enable you to log in at any time and make changes to your giving or view your complete online giving history. Or if it’s easier, complete the VANCO Authorization Form 8-2018 and return it to the church office. Churches, because of their heavy weekly check volumes, were among the earliest organizations to embrace electronic giving as a way to automate contributions. Today, electronic giving in all its forms provides convenience for frequent check writers and donation consistency for churches. A less frequently discussed benefit of electronic giving is its positive impact on the environment. An enormous amount of natural resources are consumed in the production, transportation, processing and disposal of paper checks. That’s why paying bills electronically always ranks high on any list of actions an individual can take to improve the environment. The trend toward electronic payments has already produced more than a 50% decline in check use since the year 2000.